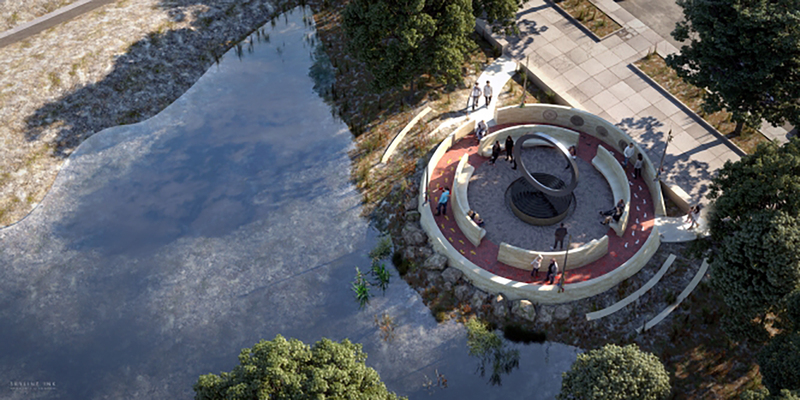 The National Native American Veterans Memorial, whose design is shown above, will be located at the National Museum of the American Indian, which is adjacent to the U.S. Capitol on the National Mall. For some it might seem like a slam dunk in this day and age: erect a memorial to Native American veterans in the nation’s capital. Or some might be surprised to learn a memorial isn’t already there, after all it’s 2018. Stephen Bowers knows better and knows the journey for a memorial has been anything but easy. 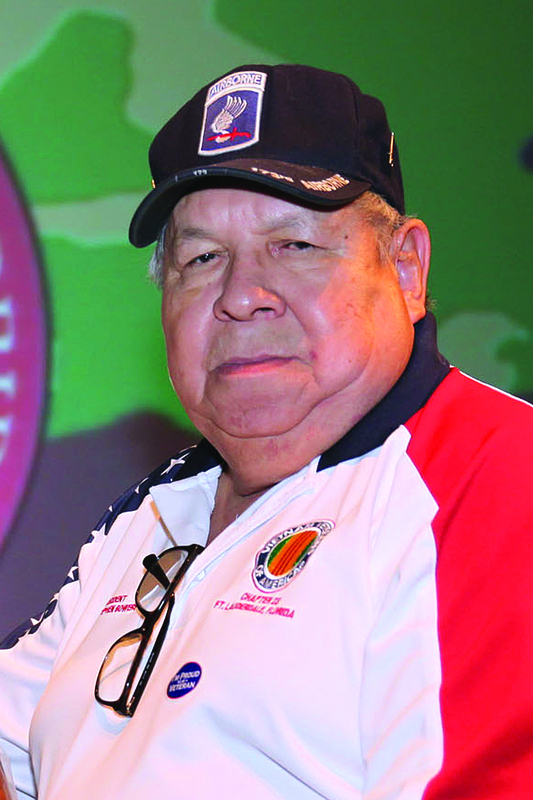 Bowers, who is the Veteran Affairs director for the Seminole Tribe of Florida, has been on the front lines for years to push for what will now be construction of the National Native American Veterans Memorial in Washington, D.C., at the Smithsonian’s National Museum of the American Indian. He can see an end in sight to what has been an almost decade-long journey. While Native Americans have served in the U.S. military since the American Revolution, they have historically not been duly recognized for their sacrifices. And data shows they’ve served in greater numbers per capita than any other ethnic group. Recognition is finally on the doorstep. And while Bowers and others pulled as many strings as possible along the way to get the project done quickly, to see through a memorial that requires the approval of Congress and significant funding explains part of the long wait. Bowers’ campaign for the memorial began in 2010, after then-Chairman Mitchell Cypress called him to his office. Cypress gave Bowers a mission: work to get a statue placed at the Vietnam Veterans Memorial to commemorate Native American veterans. “We started waking people up, because the discussion and the bill for a memorial had already been passed by two major American Indian groups,” Bowers said. The bill was passed in 1994, but momentum had stalled. “They never decided where it was going to be put and the fundraising never went anywhere,” Bowers said. With the mission in mind for a statue, Bowers went to work to get the momentum back. What Bowers would soon discover is that Congress had passed a law in 2003 that wouldn’t allow anything to be added on the site of the existing Vietnam Veterans Memorial. The statue (or a memorial) would have to be approved and constructed at another D.C. site. After almost two years of traveling to meetings and drumming up support among tribal members across the U.S. and talking to members of Congress and their staffers, momentum was taking hold again. The project also had a strong ally: Senator Daniel Inouye of Hawaii. However Inouye, who thought the project would be one of his lasting legacies, died in 2012 before he could see it completed. But after his death, the then-governor of Hawaii replaced Inouye with the state’s then-lieutenant governor, Brian Schatz. Schatz was ambitious and was convinced to pick up the project Inouye had cared so much about. 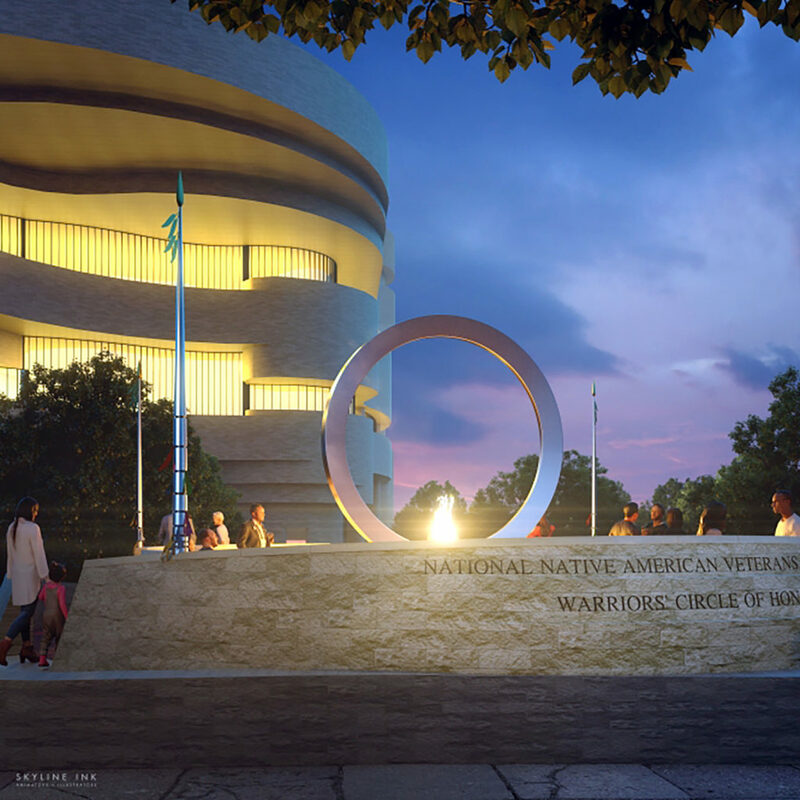 Congress later gave the green-light for a memorial, not necessarily a statue, to be put on the grounds of the Smithsonian-run National Museum of the American Indian. But there was still a lot of red tape and bureaucracy to go through. Bowers has lived in Hollywood his entire life and the family name is one that is well-known in the Seminole community with far reaching branches of the family tree. Brighton Councilman Andrew J. Bowers Jr. is his cousin. His mother, who was Muscogee (Creek) Nation from Oklahoma, was good friends with Betty Mae Jumper, the only chairwoman of the Seminole Tribe. Bowers’ father was a rancher who lived near what is now the Brighton Reservation, but died in a car accident when Bowers was fighting in the Vietnam War. Bowers was the first of his family to serve in the military. He enlisted to serve in Vietnam in 1969 and was an Army combat veteran who served on long range reconnaissance missions with the 173rd Airborne Brigade. He received an “early out” in 1971 after his mother, Jumper and others visited the offices of former Congressman J. Herbert Burke to ask for Bowers’ release from service. They pleaded with Burke that he be able to return home to help support his family after his father’s untimely death. His lifelong respect and affection for the sacrifices of those in the military and for military veterans had already been solidified. After the memorial project was handed over to the Smithsonian, Kevin Gover came calling for Bowers to be on his advisory committee. Gover is the director of the Smithsonian’s National Museum of the American Indian and a citizen of the Pawnee Tribe of Oklahoma. He traveled around Indian Country to garner support and search for Native artists to be part of a juried contest to design the memorial. He and Bowers would continue to raise funds, as a complete cost-estimate was still in flux. The Smithsonian eventually chose artist Harvey Pratt (Cheyenne/Arapaho) and his design was unveiled this past June. The National Native American Veterans Memorial will now have a celebration of Pratt’s winning design at the site on the National Mall on November 8. The NNAVM groundbreaking is slated for September 2019 and a formal dedication is scheduled for November 2020. While the NNAVM has been an almost 10-year long journey for Bowers, he’s ready to move on to his next mission: recognition for Polly Parker. For the past year, he and his wife Elizabeth have been mulling over what it would take to have a statue commissioned for Parker, who they say is an unsung hero of the Seminole Tribe. “She was a lady that was captured [during the Seminole Wars], we don’t know with how many other men, women or children,” Bowers said. For more information about the National Native American Veterans Memorial, go to nmai.si.edu/nnavm.